BC SPCA > News Stories > Is visiting the farm really the answer to learning more about food production? 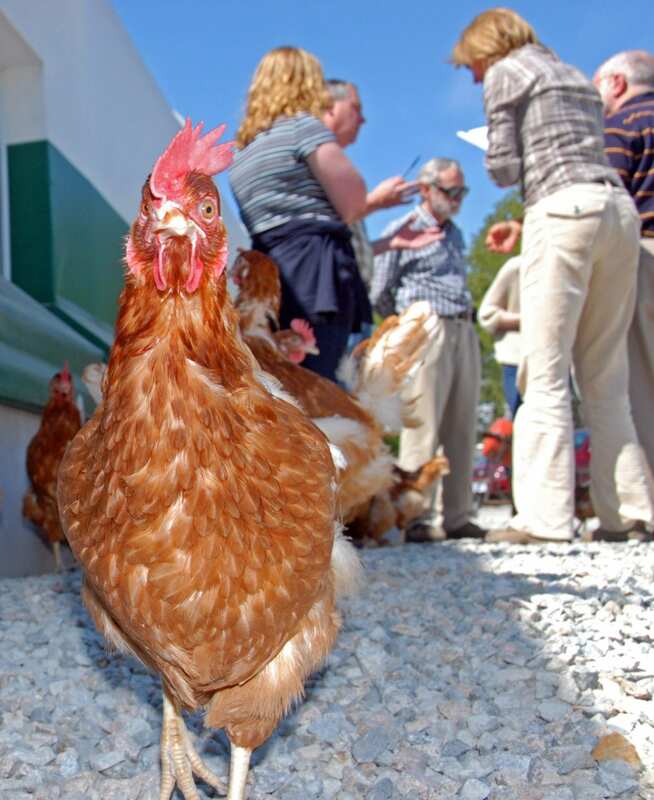 Is visiting the farm really the answer to learning more about food production? We are busy people, frequently juggling work and personal commitments. It’s not often that we think of making time to go to meet our local farmers to learn about how our food is produced. However, if you want to know more about how your food is grown, nothing beats going to the source. Is it realistic to expect people to visit every farm their food comes from? The 1940’s in Canada marked the beginning of a rapid population shift from rural areas to urban centres. Farmers no longer interested in taking on long hours of farm labour took their families to the city, headed for a new life. 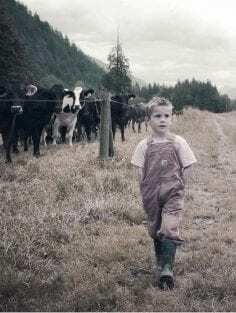 By the 1970’s, over half of Canada’s family farms had disappeared. Some were purchased by other farms, creating larger, more intensive farming operations. Many generations of people born during this time grew up in the city and became very removed from the realities of farm life and rural living. Today, the situation is much the same. Over 80 per cent of Canada’s population now lives in urban centers. Most of our meat, dairy and produce come from the nearest grocery store, not a neighbouring farmer. Are farm visits the solution to reconnecting with how our food is grown? With over 35 million people in the country and only 193 thousand farms (2016 Census Canada stats), farmers would be flooded with requests for tours if Canadians really did start visiting the farm before they made their purchases. It is not realistic to expect people to visit every farm their food comes from. Likewise, it is not realistic to expect our Canadian farmers, who make up only two per cent of our population, to host millions of farm visitors every year. Does the average non-farming Canadian have the necessary expertise to measure whether a farmer is managing his or her animals according to humane standards? How about environmental and sustainability standards? Most of us are so far removed from the realities of what it takes to run a farm that it would be like walking into a mechanic’s garage and giving an accurate assessment of all of the vehicle repairs taking place. That said, consumers should continue to take steps to understand where their food comes from and how it was grown. But we need to acknowledge that it is an unrealistic expectation to send everyone out to the farm to do so. It is also unrealistic to expect that the farm’s animal housing standards, grazing management, antibiotic use and animal handling methods – among the many other management practices in place at the farm – can be accurately assessed during a short farm visit by someone who may have never set foot on a farm before! Bridging the gap: How do we build trust? So how do we build trust in our food system if we aren’t going out to farms to learn how animals are raised? The answer is simple: Third-party certification. The best way for farmers to reflect their values and protect their credentials is to have their production claims backed by third-party certification, like SPCA Certified or organic. Likewise, the best way for shoppers to ensure they are buying foods that match their values is to purchase third-party certified products. That way you can be sure you are getting what you pay for. In any business sector, there will be a small number of “bad apples” who sell under mislabeled or misleading brands, possibly just to make a quick buck. Be sure to check for a credible certification logo on the package before you buy, and watch out for the top seven misleading food labels to make sure you are not being duped at the cash register. Stay up to date on all things “farm” by subscribing to our FarmSense e-newsletter — delivered to your inbox four times a year. We decode misleading and confusing food labels to help you become a more informed shopper, and you will receive news on what the BC SPCA is doing to help further farm animal welfare in Canada.